Another surprisingly strong move was performed by the [B]EUR/USD[/B] pair at the last working day of this year. The main currency pair witnessed a momentary spike of almost two cents refreshing its two-week highs at 1.0650 level, straight away after posting its daily lows at 1.0485 spot. However, the spike faded quickly and now the pair is consolidating part of gains in the region of 1.0530. Sharp move across the market could be explained by thin liquidity amid ongoing festive season, what makes swings like this not so unusual. Today at the last working day of this year the pair will continue to float influenced by global trading trends due to low trading activity and empty economic calendar. This morning the [B]USD/JPY[/B] pair fell to its two-week lows posted at 116.04 level in wake of strong dollar’s sell off seen in the pair with the euro. However, the major has managed to reverse its bearish slide and rose to 116.88 level in response to dollar’s recovery across the market. Moreover, slightly increased investors’ appetite for riskier assets is also negatively influencing the traditional safe-haven currency driving the pair away from it today’s low. At the last trading day of 2016 investors will find in calendar only second-tier data, so the pair most likely will continue to trade under the influence of US dollar’s price dynamics during this trading session. The [B]USD/CAD[/B] pair continues to drive in south direction for the third session in a row. Currently the pair remains in negative territory consolidating its weakness below key support 1.3500. Adding to this, better tone around oil prices is also strongly supporting commodity-linked assets, such as Loonie. However, by the time of writing the pair has managed to recover part of its loses that could be explained by broad greenback’s recovery against its major competitors. Further, traders will continue to track the USD price-actions amid lowered trading activity and empty event calendar in a pre-New-Year holiday trading session. The [B]USD/CHF[/B] has almost recovered from its three-week lows marked at 1.0055 spot. This morning the Swiss franc received strong correlative support from the euro forcing the USD/CHF pair to fall for almost two cents. However, the pair didn’t stay long in a red territory and has recovered most part of its losses posting its daily tops at 1.0230 level, as intensifying risk-on moods and broad based US dollar’s recovery are strongly supporting the pair. 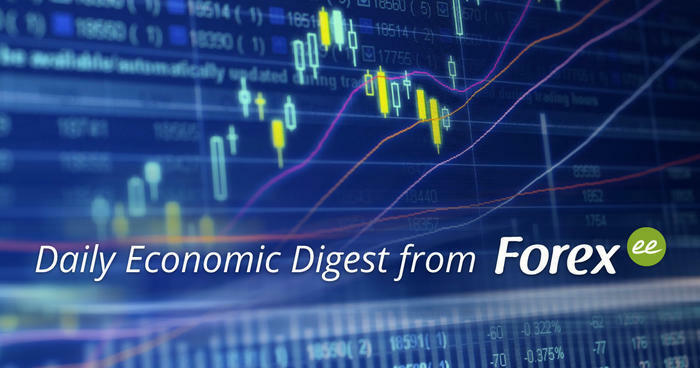 Today only secondary data reports are scheduled in economic calendar, which most likely won’t have any impact on the pair, so the USD/CHF major will continue to gain traction from global markets sentiments during the last trading session of this year. Forex.ee Analytics department also sends you our best wishes for the New Year. The[B] EUR/USD[/B] remains flat in early Europe. Yesterday the main currency pair fell for nearly 150 pips refreshing its 14-year lows at 1.0340 level on the back of increased demand for the greenback and positive US data. However, euro bulls have managed to recover part of pair’s losses, lifting the major back above the level of 1.04. Currently the EUR/USD pair is trading in a narrow range, having posted its daily highs and lows at 1.0424 and 1.0390 spots, closely tracking consolidating phase of the US dollar index. However, in mid-term perspective the pair will continue to stay suppressed as expectations of increase in growth rate of the US economy are significantly supporting the greenback, while ongoing Italian banking crisis continues to weaken the euro. Seems that the [B]pound [/B]has recovered a smile on Wednesday recovering most part of its losses against the US dollar. Yesterday the GBP/USD pair fell to its 2-month lows, marked at 1.2199 spot, as strong buying interest around the greenback approached the market. However, bears failed to take the pair under its total control as positive data from UK’s economy limited further downward moves. Currently the pair is trading in the region of 1.2270 expanding its recovery from yesterday’s lows. Later today, the pair will be influenced by the UK construction PMI report and Fed minutes while risk-on moods will continue to support the Sterling during this day. Today the [B]dollar/yen[/B] pair is trading in a positive mood as better tone around higher-yielding assets is supporting the pair lately. However, seems that US bulls have taken a breather allowing the pair to consolidate its previous gains around the level of 118.00. Nothing much is scheduled in data calendar for the pair, as only FOMC Meeting Minutes, released during late NA session will be able to bring short-term trading opportunities for markets participants, so US dollar’s price dynamics and risk-on sentiments will remain as key drivers for the pair on Wednesday. The [B]Loonie [/B]has regained a smile today against its American peer as the greenback is losing a grip across the market. Currently the USD/CAD pair corrects lower after yesterday’s north-directed rally, boosted by bid tone around the US dollar and better results of the US economy. Moreover, better tone around oil prices is also supporting commodity-linked assets, such as the Loonie. Moving ahead, today the pair will continue to stay influenced by sentiments around the US dollar and oil price dynamics during this trading session, as only FOMC Meeting Minutes are scheduled in data calendar for the pair. After a short period of consolidation, the [B]GBP/USD[/B] pair is giving away a part of its gains on the back of US dollar’s correction against its main competitors. Yesterday pound bulls managed to take control over the pair amid broad greenback’s weakness. Moreover, prevalent risk friendly environment triggered by strong drawdown in oil stockpiles also has fueled pair’s northern traction. However, expectedly the pair will continue to keep its bearish trend as traders are locking in some profits ahead of crucial jobs report scheduled on the NA session. The [B]EUR/USD [/B]pair stopped its rally and entered consolidation phase in Tokyo, as cautious sentiments ahead of NFP release have gained a pace. Currently the main currency pair continues to trade in a quiet mode after recent sharp rally of 150 pips, stepping down a bit from its daily highs posted at 1.0613 spot. However, FOMC Meeting Minutes that appeared not so hawkish, as it was expected continue to influence negatively on US dollar’s dynamics. Meanwhile, traders are eagerly awaiting for US jobs report, especially taking into account yesterday’s weak ADP Nonfarm Employment Change. The [B]Aussie [/B]turned lower against its American counterpart after brief consolidation phase seen in Asia failing to take advantage of surprisingly strong Australian trade data. At the moment of writing the AUD/USD pair was trading at 0.7318 spot, having posted its daily highs 0.7353, as US dollar corrects higher against basket of its major peers after sharp yesterday’s downside rally. 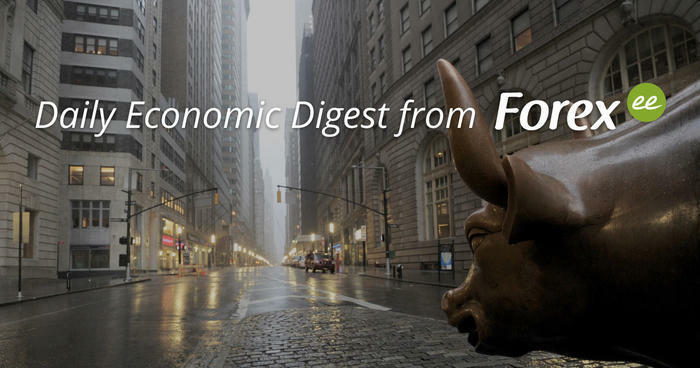 Meanwhile, investors shift their attention towards US fundamentals, with much-awaited NFP data scheduled for release later in the NA session. The [B]USD/CAD[/B] pair has slowed its rebound from yesterday’s lows posted at 1.3191 spot, which is the lowest level seen in the last three weeks. Seems that US bulls have gathered a pace after greenback’s sharp downside rally on the back of mixed sentiments around FOMC Meeting minutes. However, slightly better tone of oil prices based on strong draws by the API and the EIA is limiting pair’s recovery. Moreover, market participants will stay cautious ahead of eventful NA session with crucial labor market reports from both sides. Today the [B]GBP/USD[/B] pair continues to stay pressured despite broadly weakened sentiments around the greenback. Currently the pair continues to wobble in the region of its multi-month lows near the mid-point of 1.21 consolidating its yesterday’s sharp slump backed by UK PM T.May’s comments that re-emerged “hard-Brexit” fears. Even more, growing market’s expectations of potential consequences of “hard Brexit” scenario have overshadowed latest UK’s positive economic results forcing the pair to lose more than three cents since Friday’s tops. Today the major will continue to follow broad market sentiments and US dollar’s dynamics, as only JOLT’s Job Openings will be able to bring impetus to the pair. Seems that the [B]AUD/USD[/B] pair has lost its bullish momentum, although broad sell-off of the buck continues to influence the market. At the moment of writing the major was trading on the level of 0.7360, stepping down from its overnight highs posted at 0.7384 spot, as Australian Retail Sales and Chinese CPI seen this morning missed market’s expectations. However, better tone around commodities, such as oil and copper prices, has limited pair’s fall. Today traders will stay focused on JOLT’s Job Openings, that remains the only first-tier data scheduled for this trading session. Today the [B]euro [/B]remains bullish against its American counterpart as strong sell-off around the greenback continues to drive the market. However, having faced resistance at 1.0627 level, the pair stepped lower to the region of 1.06 amid minor dollar’s correction against basket of its major peers. Moreover, ongoing euro’s rally in the pair with the pound also continues to underpin EUR/USD. Looking ahead, today USD dynamics will remain as a key driver for the major amid data quiet session, as only JOLT’s Job Openings will be released during NA session. The [B]dollar/yen[/B] pair has managed to bounce-off today’s lows posted at 115.20 spot, but still remaining weak as USD bears refuse to give up. Today the pair continues to expand its bearish trend for the second session in a row as sell-off in the US dollar is still full of steam. Moreover, broad risk aversion sentiments, triggered by weak Chinese data, are also supporting yen’s safe-haven status lately. Nothing much is scheduled in data calendar for this Tuesday, so the pair will follow broad market’s moods to determine its further direction during this day. Yesterday the [B]GBP/USD[/B] pair managed to retake its key resistance level of 1.22 on the back of Trump’s disappointing speech and now the major is trading within striking distance of its recent maximums, posted at 1.2316. Moreover, yesterday market participants mostly ignored BoE Governor M.Carney’s neutral speech, where he noted that UK economy remains exposed to global risks and Brexit could only intensify its negative influence. Seems that post-Trump’s conference rally is not over yet so the pair will continue to track USD price changes to determine its further direction. The [B]EUR/USD[/B] extends its yesterday’s bullish rally building gains above the level of 1.06. Today the main currency pair refreshed this year highs, marked at 1.0664 spot, on the back of yesterday’s President-elect D.Trump’s conference, where he failed to provide any signs of his further political implementations on the US economy. Today only secondary data reports, such as ECB Account of Monetary Policy Meeting and couple of speeches of Fed policy-makers will be able bring some impetus on the pair, while US dollar’s dynamics will remain as a key driver during this Thursday. The [B]Aussie [/B]remains on a firm note against its American counterpart, allowing the AUD/USD pair to refresh it 4-week highs at 0.7484 spot. Today the pair remains bullish for the fourth session in a row, supported by yesterday’s disappointing D.Trump’s speech, as lack of comments on his further fiscal stimulus triggered sharp sell-off around the US dollar. Moreover, better tone in commodity space, especially in copper, is also positively influencing Australian currency. Nothing much is scheduled for the pair on this Thursday, so the major will continue to be influenced by US dollar’s price dynamics. Seems that [B]USD/CAD[/B] continues to lose points refreshing its 4-week lows at 1.3090 level. Today the pair extends its bearish run for the second consecutive session, losing about two cents since yesterday’s highs, as Wednesday’s president-elect Donald Trump’s press conference failed to provide any support for the greenback. Even more, ongoing oil prices’ recovery from its recent lows also is lending extra legs to the Loonie lately. Today expectedly the pair will keep trading under influence of US dollar bears as market participants are still digesting recent events, while several Fed speaks will be able to bring some relief on the greenback later in NY session. Today the [B]GBP/USD [/B]pair opened with a strong bearish gap of almost 200 pips, refreshing 2-month lows at 1.1998 level on the back of weekend news. Traders reacted negatively on the latest UK headlines, citing that the UK PM T.May is ready to “hard Brexit” and is not going to deviate from triggering article 50 by the end of this March. Now all eyes are set on tomorrow’s speech of the UK PM where she expectedly will bring more clarity on further Brexit developments. Currently the GBP/USD major is consolidating its strong drop near the level of 1.2050, failing in minor attempts to recover and posting its daily tops near 1.2084 spot. Today expectedly the pair will remain under strong pressure of “hard Brexit” fears limiting any immediate recovery. Seems that the [B]EUR/USD[/B] pair has lost a smile at the start of this week after three consecutive sessions, correlating to strong drop in the GBP/USD pair. The main currency pair was unable to benefit from risk negative environment, triggered by the latest headlines from the UK, refreshing its daily lows around the level of 1.06. Nothing important is scheduled in data calendar for the pair so it will continue following global market sentiments, influenced by renewed concerns of “hard Brexit”, while the US market will stay closed today in wake of Martin Luther King Day. Strong risk-off sentiments gripped the market this Monday, forcing the [B]USD/JPY[/B] pair to refresh its multi-week lows below the level of 114. Today the dollar/yen pair came under strong selling pressure, as traders prefer to stay cautious in view of recently reawakened “hard Brexit” concerns, that are positively influencing yen’s safe-haven status. Today RO-RO trend will remain as a key driver for the pair, as the US market will stay closed due to Martin Luther King Day. Seems that Australian bulls have lost its momentum allowing the[B] AUD/USD[/B] pair to change its direction after five consecutive sessions of gains. Having faced resistance at 0.7500, the pair fell to its daily lows posted at 0.7458 handle, as the market steps over recent D.Trump’s disappointing speech, that was suppressing the greenback. Moreover, fresh wave of risk-off moods approached the market, as investors are digesting the latest headlines from UK, which are negatively influencing higher-yielding assets, such as Australian currency. Today risk-aversion and US dollar’s price-dynamics will continue to set up pair’s further direction amid empty data calendar. The [B]GBP/USD[/B] pair has eased part of its yesterday’s huge gains and now is oscillating in 25 pips narrow range, posting its daily lows at 1.2327 spot. Yesterday the major performed massive upsurge for almost 4 figures on the back of strong and constructive talks of UK PM T.May. During her speech the policymaker insisted on keeping strong ties with EU, however, noting that “no deal is better than a bad deal”. Therefore, that T.May’s announcement has left some uncertainty on the EU’s possible response. Another eventful session is expected on this Wednesday, with UK wage growth data and US inflation reports. 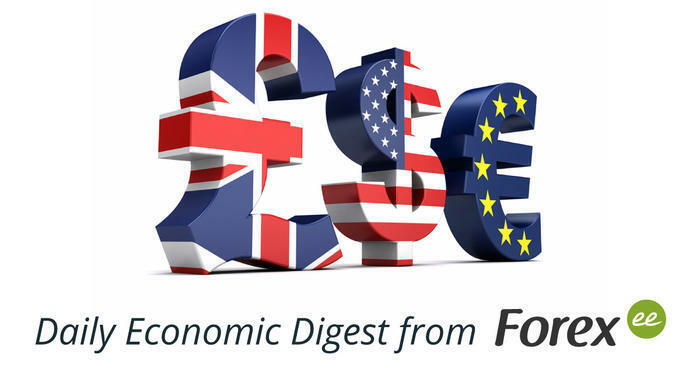 Today the euro corrects lower against its American counterpart, moving the [B]EUR/USD[/B] pair away from its six-week highs, marked above 1.07 level. Yesterday the main currency pair rose for more than a cent on the back of huge drop of the greenback in the pair with the pound. By the time of writing the major was trading in bearish trend, having refreshed its daily lows around the level of 1.0677, as traders continue to take profits off the table after aggressive sell-off, seen around the buck. Now focus shifts towards inflation reports from both continents and couple of Fedspeaks with J.Yellen’s speech in the main role. Seems that the greenback has recovered a smile in the pair with the Loonie, after the [B]USD/CAD[/B] pair faced resistance near the level of 1.30, which is the lowest level since October, 2016. On the other hand, the CAD remains silent on Wednesday, mostly ignoring slightly bullish tone around the oil prices ahead of BoC Interest Rate Decision. However, expectedly the BoC will leave its interest rate unchanged, while Bank of Canada’s policy tone could determine further pair’s direction. Moreover, bloc of data from the US economy with Fed Chairwoman J.Yellen’s speech will also be able to bring some impetus to the pair during NA session. And finally the [B]dollar/yen[/B] pair has lost its bearish momentum after seven consecutive sessions of south directed march. Currently the pair is trading around the level of 113.20, performing a minor comeback from its six-week lows, marked at 112.57 spot. Today the pair is trading on a positive note in wake of reignited risk appetite after key event of this week, seen this Tuesday. Japanese docket for this trading session remains absolutely empty leaving the pair in mercy of USD price dynamics, while US fundamentals, scheduled on NY session, will be able to bring short-term opportunities to investors. The [B]EUR/USD[/B] retained its Friday’s bullish momentum in Asia, as inaugural speech of the 45th president of the US failed to inspire dollar’s bulls. Last Friday D.Trump delivered his speech, which had more protectionist tone and lacked on details of further fiscal stimulus measure, while market’s participants had already priced in more positive news by that time. During his speech the US president stressed, that his policy will follow two main rules: “buy American and hire American”. Currently the main currency pair is oscillating around the mid-point of the 1.07, that is one cent higher Friday’s lows. Today all trader’s attention will be focused on ECB President M.Draghi’s speech, as US data calendar is absolutely empty at the start of this week. Following global sentiments, the [B]GBP/USD[/B] rose to its monthly highs, posted at 1.2467 handle, as markets remain disappointed by lack of details regarding US President D.Trump’s further plans. Increasing skepticism among investors, backed by President’s failure to shed the light on his further policy specifics is forcing the US dollar to retreat across the market. Today expectedly the pair will keep expanding its bullish tone amid data light calendar from both sides, as weakness around US treasury yields additionally is weighing on the greenback. In midterm perspective the pair will remain influenced by headlines related to Trump/Brexit developments. Today the [B]dollar/yen[/B] pair remains bearish at the start of this week, as recent inaugural speech of the US president continues weighing on the buck. At the end of the last week the new US president delivered his first speech, which was hawkish enough, however, lacked of details over his potential political/economic measures, that were spoken during his election campaign, what remained highly disappointing for those who had priced in possible positive changes. Moreover, softer tone around higher yielding assets is also negatively influencing the pair lately. Currently the pair is wobbling around 113.50 level, with its daily lows, posted at 113.17, but still remaining in the red zone. Today empty data docket will leave the pair at the mercy of further US price dynamics during this Monday. Broadly based sell-off around the greenback continues to interact with the [B]USD/CHF[/B] pair, sending it to refresh 2-month lows at 0.9973. 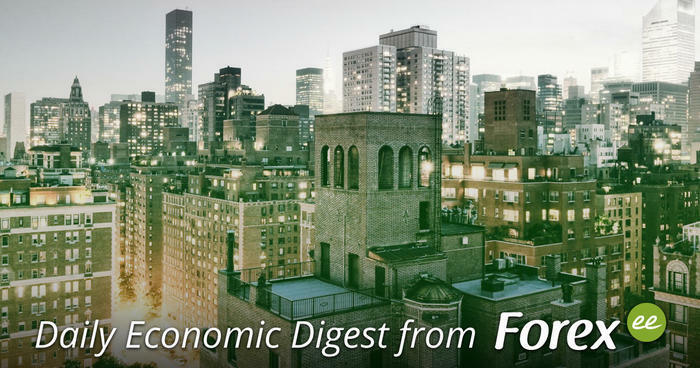 Currently the pair remains within striking distance of its daily lows, as disappointing US president’s first speech, that again has left his further fiscal stimulus in shadow, continues weighing on the US currency. Adding to this, broad risk-off sentiments, witnessed in Asia, are lending extra support to the Swiss franc’s safe-haven status. In absence of any major report scheduled in data calendar for today the pair will continue following US dollar’s price actions and broad RO-RO trend during this trading session. The [B]GBP/USD[/B] pair regained most part of its losses after recent drop, however, now is easing from its overnight highs. Yesterday the pair came under bearish pressure after UK Supreme Court’s verdict on Brexit that came with 8 to 3 votes in favor of Parliament’s approval before triggering Article 50. So now investors will await for Parliament’s vote, however, the Parliament has already stated that will support Brexit process. Yesterday the pair managed to recover its losses, as investors are doubting “hard Brexit” scenario, adding some buying interest around the Sterling. Nothing much is scheduled in data calendar for the pair, as only BoE Governor M.Carney will deliver his speech later in the day. The [B]Aussie [/B]remains under strong selling pressure, forcing the AUD/USD pair to drop to its daily lows on the back of weak inflation data. This morning Australian CPI on a quarter basis showed disappointing results, dragging the pair away from the region of its 2-month highs, located near the level of 0.76. Poor data from Australian economy triggered talks among market’s participants of further monetary easing by the RBA, while the Fed took a course on rising its interest rate during this year. Such divergence between tow policies attracted additional pressure on the Australian currency. Looking in the day ahead, only weekly EIA report of US Crude Oil Inventories will be able to bring some impetus to the pair, so the major will continue to follow global markets sentiments during this trading session. The greenback has recovered its positions against its main competitors, sending the [B]EUR/USD[/B] pair to refresh its daily lows at 1.0711 spot. After brief consolidation period, seen in Asia, the pair once again came under bearish pressure, as the US dollar has regained a smile. Moreover, seems that market’s participants have already digested recent D.Trump’s talks, and hopes return, that new US president will fulfill his promises, broadly supporting the buck. Now all focus shifts on German Ifo Business Climate Index that will be released in European session. 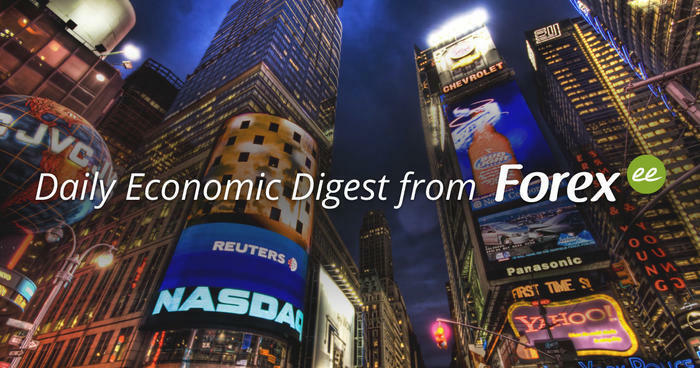 Nothing else is scheduled in today’s docket, so investors will keep eyeing on developments surrounding main news sources to determine pair’s further direction. The [B]USD/CAD[/B] corrects higher from its daily lows, however, remaining on a 3-day losing streak. Yesterday the pair fell for almost 2 cents after disappointing results from US housing market, refreshing its weekly lows at 1.3106 level. 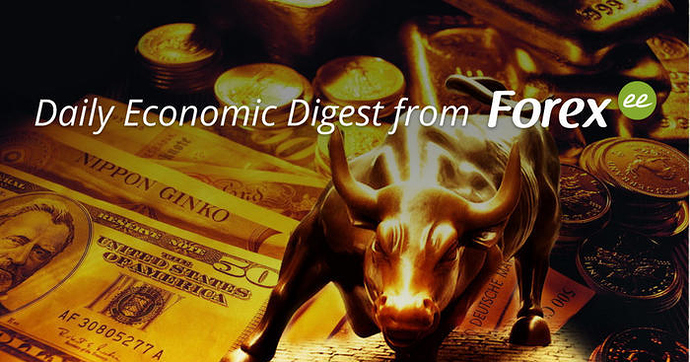 However, the major has picked up some bearish momentum, performing minor correction moves, as renewed demand for the greenback is pushing the major in north direction. But on the other hand, stabilized oil prices after API report that showed increase in crude oil stocks, are lending extra support to the Loonie. Currently the pair is trading at 1.3152 level, awaiting for Crude Oil Inventories that will be released in American morning for fresh impetus. Brexit developments continue to direct the market lately, sending the [B]GBP/USD[/B] to refresh its 6-week highs at 1.2662. Yesterday the pair regained its positive mood and was remaining bullish during Asia, as UK PM T.May announced that she would publish the bill to trigger article 50 already this Thursday. Moreover, May’s confidence and determination especially after her comments that “Brexit means Brexit” are also positively influencing the pound. Today all traders’ attention will be focused on fresh information regarding Brexit process, while UK flash GDP report and data from the US housing market will also have significant impact on the pair. The Kiwi got a major boost in early Asia following strong NZ inflation reports, pushing the [B]NZD/USD[/B] pair to refresh its 2-1/2 month highs above the level of 0.73. During Asian session NZ economy surprised market’s participants with better-than-expected CPI, triggering fresh talks of further rate increase by the RBNZ. However, the pair failed in holding its gains and fell to the region of 0.7270, as the Kiwi remains overbought after pair’s northern march during last month from its lows, located at 0.6850. 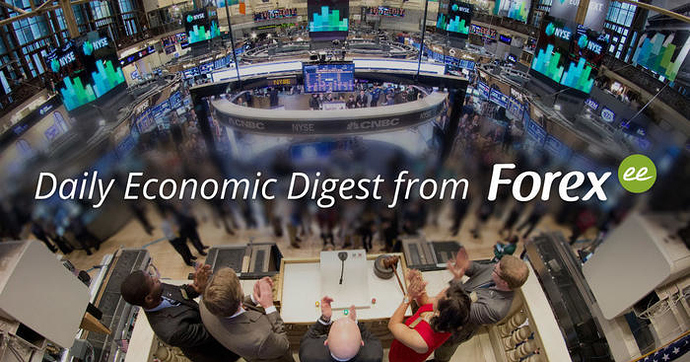 Now immediate focus shifts toward US economic reports due to be released later in NA session. The [B]EUR/USD[/B] remains bearish this morning, stepping away from its overnight highs marked at 1.0765. Today the US dollar stays better bid against the euro, as renewed optimism around the greenback, led by D.Trump’s presidency, is negatively influencing the main currency pair. However, uncertainty around new president’s further political steps still persists, so US dollar’s bullishness remains fragile. 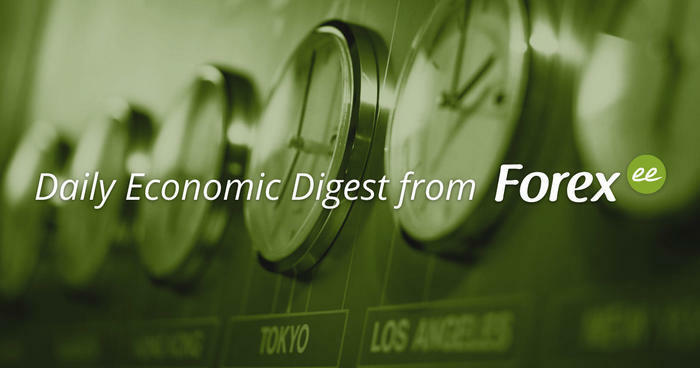 As for today, USD dynamics will remain as a key driver for the pair, while US macro data will also be able to bring some trading opportunities in short-term perspective. Today the [B]USD/JPY[/B] pair is trading in positive mood, stepping away from its overnight lows, posted at 113.05. Currently the pair is accelerating its recovery and by the time of writing has reached the level of 113.80, as the greenback corrects higher against its main competitors this morning. Moreover, better tone amid higher-yielding assets is also collaborating with pair’s sharp upsurge. However, lack of details on US president’s fiscal stimulus plans remains one of the major US dollar’s fears that can crash greenback’s positions instantly. 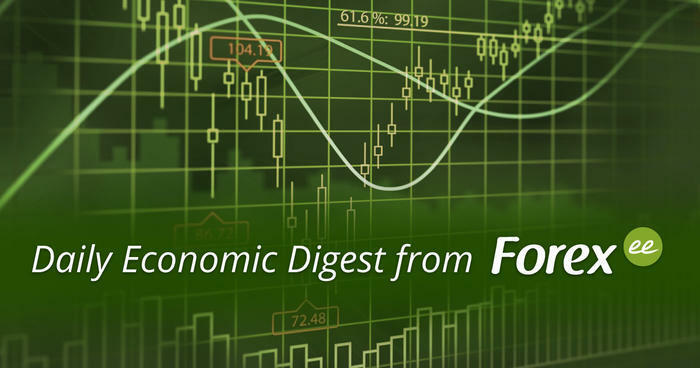 Today only couple of US macro releases could be able to bring some impetus to the pair, so US price dynamics and RO-RO trend will continue to set up pair’s direction during this trading session. The [B]GBP/USD[/B] pair extends its yesterday’s bearish momentum, walking away from its weekly highs, however, going to close this week with profits. Currently the pair is moving in south direction, mostly ignoring yesterday’s positive UK flash GDP and weaker data from the US housing market, as the greenback remains firmer at the end of this week in wake of D.Trump’s reflation policy. On the other hand, increasing hopes of soft Brexit, inspired by recent events on UK political field, are limiting pair’s further fall. Today UK docket remains absolutely empty, leaving the pair on the mercy of US dataflow, scheduled on NY trading session. The [B]yen [/B]is losing points against its American counterpart on the back of BOJ announcement, sending the pair sharply higher its yesterday’s lows. Today the BOJ made the decision to increase purchases in Japanese Government Bonds, hinting on tapering QE program on its next meeting, which is scheduled on next Tuesday. Moreover, buying interest around the US dollar is also adding some strength in pair’s bullish run. Currently the pair is trading at 115.15 level, stepping away from its yesterday’s lows, marked in the region of 113 level. 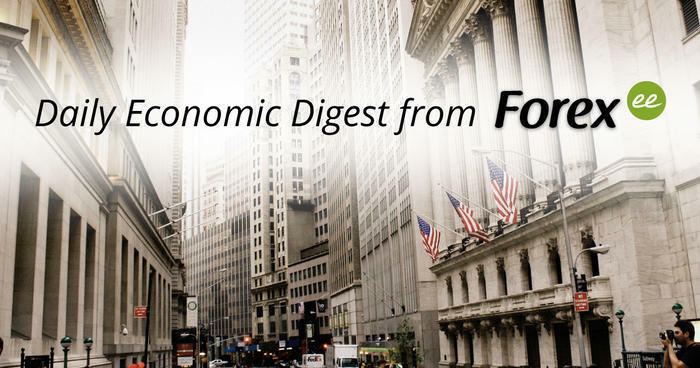 Today all eyes are set on the US docket, featuring US flash GDP and durable goods orders, which could bring some impetus to the pair. The [B]EUR/USD[/B] pair corrects higher after briefly bearish Asian trading session. Currently the main currency pair remains within striking distance of its daily tops, posted in the region of 1.07 level, after facing resistance at 1.0658. However, expectedly the pair will stay under bearish control on the back of expectations of US president’s stimulus program, that was introduced during his election race. Today in data calendar traders will find such reports, as US Core Durable Goods Orders and preliminary GDP, while EU Finance Ministers Meeting also will be able to bring some impetus to the shared currency. The [B]Aussie [/B]failed to sustain its yesterday’s recovery and fell to red zone in Asia despite positive Australian data, seen this morning. By the time of writing the AUD/USD pair was trading at 0.7525 spot, down from its daily tops, marked at 0.7542, as broad demand for the US currency, backed by potential D.Trump’s policy, is dragging the major in negative territory. Moreover, broad risk-off sentiments coupled with softer tone around oil prices are adding some bearish pressure on the pair. Looking in the day ahead, US dataflow with US GDP numbers and Core Durable Goods Orders on a monthly basis will grab traders’ attention later in NA session. Today the [B]EUR/USD [/B]opened with a bullish gap, backed by broad greenback’s weakness. The USD remains heavily offered against basket of its main competitors in wake of US president’s protectionism, as D.Trump signed a document last Friday, banning entry into the US for 90 days from seven Islamic countries, explaining it as a fight against terrorism. Moreover, poor US GDP data, seen at the end of last week, are also collaborating with buck’s offered tone. However, currently the main currency pair is trading around 1.07 level, slipping lower its overnight highs, marked at 1.074 handle, as bears have taken a breather, allowing the dollar to regain part of its losses. Looking ahead, only data from the US housing market will be able to bring some impetus to the pair amid thin-trading conditions, as a part of Asian markets will remain closed due to Lunar New Year celebrations. The [B]dollar/yen[/B] pair has bounced off its overnight lows remaining positive on Monday morning. Seems that the pair has regained a smile as broad dollar’s sell-off, backed by Trump’s travel ban order, is subsiding, allowing the pair to move away from this day lows, posted at 114.27 handle. However, most likely the pair will remain pressured during this day, as markets will keep up on digesting the latest news from the US political field. Adding to this, weaker tone around higher-yielding assets is also limiting pair’s upside traction, supporting yen’s safe-haven status. Now all focus shifts on US Pending Home Sales, while BoJ Interest Rate Decision, scheduled on the next Asian session, will take center stage. The [B]USD/CAD[/B] pair is extending it consolidative pattern into Europe, remaining in 20-pip flat corridor. By the time of writing the pair was trading at 1.3137 spot, as bears remain unable to benefit from greenback’s broad weakness. Moreover, softer tone around oil prices, seen at the start of this week, is negatively influencing the Loonie, also holding the pair within its range. Today the major will continue to follow global market’s sentiments, led by US dollar’s price dynamics, while data from US housing market will be able to provide investors with short-term trading opportunities in NA session. The [B]Kiwi [/B]sinks lower versus its American peer unable to hold its position. Currently the NZD/USD pair is keeping its southern course, refreshing daily lows at 0.7240 level despite better-than-expected NZ trade balance, seen in Asia. However, pair’s fall remains fragile, as markets continue digesting travel ban executed by the US President on Friday, weighing on the US currency. In the day ahead, the pair will continue floating influenced by US dollar’s price actions, while data from US economy, scheduled on NY session, will also have some impact on the pair. The [B]yen [/B]remains bullish against its American competitor after BOJ monetary policy decision, announced this morning. 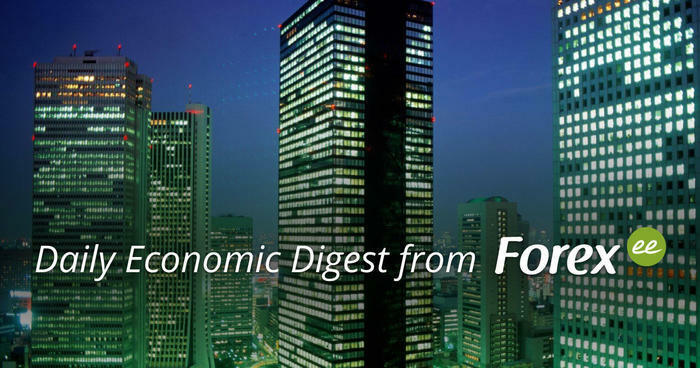 Today the BoJ during its meeting left its interest rate unchanged also revising its outlook regarding further economic growth pace, majorly leaving it untouched. Meanwhile, the USD/JPY pair remains additionally weighed, as risk-off sentiments remain at full steam underpinning yen’s safe-haven status, triggered by recent news that US president has fired Attorney General S.Yates for criticism regarding his anti-immigrant order. Today investors will continue tracking fresh headlines from US political field, while RO-RO trend will remain as a key driver for the pair this Tuesday. The [B]EUR/USD[/B] remains well bid refreshing its today’s highs amid broad US dollar’s weakness. Today the greenback ran into offers across the board, as D.Trump fired S.Yates, acting Attorney General, who stated that Trump’s travel ban is “not lawful”. Currently the pair is trading at 1.0715 level, awaiting for flurry of fundamentals with German Unemployment Change and EU flash inflation report that are scheduled on European trading session, which will be able to bring some short-term trading opportunities across the market, while fresh Trump headlines will continue to hog the limelight during this Tuesday. The [B]pound [/B]is losing positions against the greenback in early Europe after brief northern rally during Asian session. Seems that US bulls have regained control over the pair somewhat this morning, dragging the GBP/USD pair away from its overnight highs, posted at 1.2519 level, however, leaving the major in the region of 1.25 level. Moreover, uncertainty around D.Trump’s policy and his recent actions are weighing on the greenback, limiting pair’s further losses. Looking ahead, only US CB Consumer Confidence will be able to bring some impetus to the pair, so the major will continue to follow broad market’s sentiments, led by recent Trump headlines. The [B]AUD/USD[/B] gives away most part of its positions gained in Asia. Earlier this day the pair met fresh bids, as positive data from Australian economy and recent weakness surrounding the greenback in light of US president’s travel ban, allowed the major to refresh its overnight highs at 0.7571. However, the pair has changed its course and now is trading within striking distance of its daily lows, posted in the region of mid-point of 0.75, as prevailing risk-off sentiments are negatively influencing higher-yielding assets, such as Australian currency. Now focus remains on US macro data that are scheduled on NA session, but until then the major will continue following US dollar’s trend to determine its further direction. The [B]EUR/USD [/B]slips under 1.08 level during Asia in wake of minor correction of the US dollar. Currently the main currency pair is trading near the region of 1.0780 with slight bearish pressure, easing from its eight-week highs, posted yesterday at 1.0812 on the back of recent comments of the US president, in which he noted that other nations devalue their currency to gain competitive advantage. Moreover, disappointing fundamentals from the US economy, seen yesterday, are also adding some pressure on the greenback. 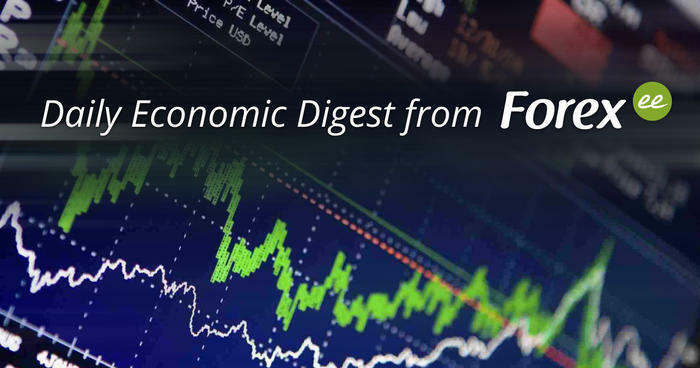 Today traders will follow the latest headlines based on D.Trump’s policy, while FOMC interest rate decision will also be able to grab traders’ attention later in NA session. The [B]pound [/B]is losing its positions in the pair with the US dollar after yesterday’s strong gains. Seems that the pair lost its upside momentum after had faced resistance at 1.26 level, falling back to the mid-point of 1.25. Moreover, corrective moves of the greenback after sharp drawdown are also negatively influencing the pair, backed by recent D.Trump’s comments that Germany, Japan and China are devaluing their currencies. Another volatile session is expected today, with Manufacturing PMIs from both sides and FOMC decision that will take center stage later in NA session. Today the [B]USD/JPY[/B] pair continues its recovery, led by recent events on the US economic field, from 2-month lows, marked at 112.08. By the moment of writing the pair was trading at 113.55, as the dollar continues correcting its positions against its main competitors. However, D.Trump’s recent comments coupled with his travel ban will keep pressuring on the US currency. 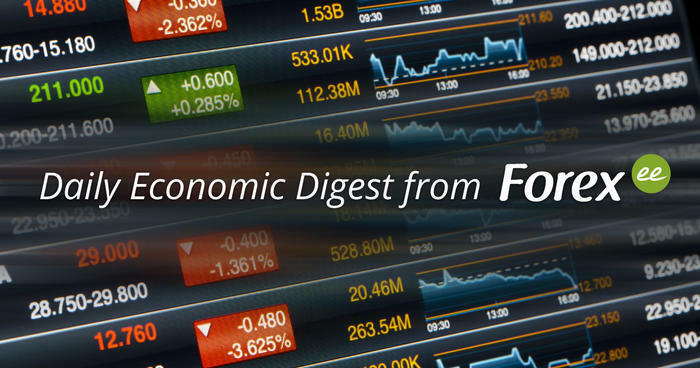 Today in data calendar are scheduled ADP Nonfarm Employment Change and ISM Manufacturing PMI, while Fed interest rate decision will hog the limelight in NA session. Expectedly FOMC will leave its interest rate unchanged, while following statement will be closely watched for any hints on further rate-hikes and monetary policy direction. The [B]USD/CAD[/B] extends its recovery mode from its multi-month, posted at 1.2969. Seems that US bulls have regained control over the pair as higher treasury yields are supporting the greenback across the market. Moreover, overnight sell-off in oil is also collaborating with pair’s bullish run. 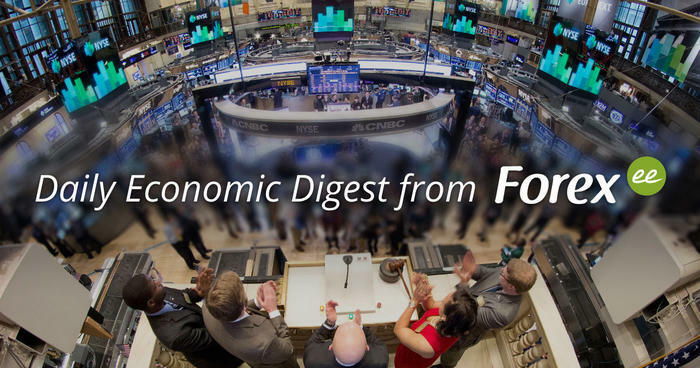 Today market participants will await for US economic dataset from that includes US EIA crude inventory report, US ADP jobs, ISM PMI and much awaited Fed Interest Rate Decision, that will be eagerly eyed for any cues of Fed’s further monetary policy outlook. The [B]GBP/USD [/B]pair is showing one of the best performances across the market, staying about 3 figures higher this Tuesday lows, marked at 1.2412 spot, mainly driven by US dollar’s weakness. Currently the pair is moving in north direction, however, its growth is limited, as traders refuse to make any directional bets ahead of main event of this day – BoE Interest Rate Decision. 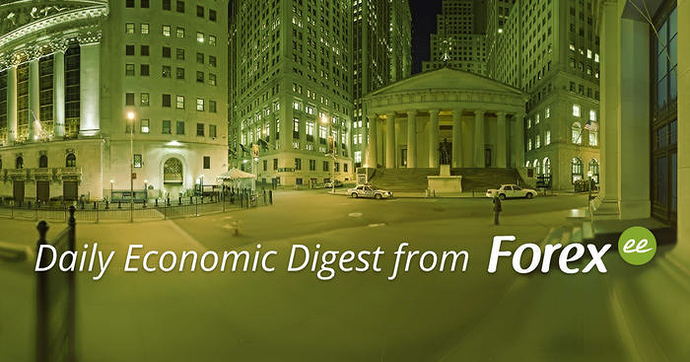 Broadly expected that the Bank will keep its rate unchanged, while accompanying comments from policymakers and BoE Quarterly Inflation Report will be closely watched for any hints on BoE monetary policy outlook. The [B]EUR/USD[/B] pair keeps on its bullish run today, retaking the level of 1.08, as the greenback remains broadly weaker at the second day of February. Yesterday, as it was widely expected, the Fed left its interest rate flat, however, giving no cues on further rate-hikes, discussed last December. Only secondary tier data reports and ECB President M.Draghi’s speech are scheduled in event calendar for this Thursday, so weaker sentiments around the dollar will continue to determine further pair’s direction, as eventless FOMC meeting and recent D.Trump’s decisions are still weighing the US currency. Moreover, today traders will focus on BoE Interest Rate Decision that will have significant impact on the main currency pair. Today the [B]Aussie [/B]is showing strong gains vs. its American counterpart in wake of surprisingly strong Australian data, seen this morning, forcing the pair to break through the level of 0.76. Currently the AUD/USD pair is trading within striking distance of its three-month highs at 0.7672 level, that is on a cent higher its overnight lows. Moreover, renewed selling pressure around the US dollar, triggered by less hawkish Fed policy stance, is also provides extra legs to the major. Today only second tier data are scheduled in event calendar, so US dollar’s price dynamics will remain as a key driver for the pair during this Thursday, while traders start to shift their focus on tomorrow’s jobs report that will be able to bring some volatile moves at the end of this week. Today the [B]dollar/yen[/B] pair is still losing positions, refreshing its overnight lows at 112.48 spot, on the back of ongoing sell-off around the greenback. Yesterday the dollar came under renewed selling pressure, as Fed disappointed investors’ expectations with less hawkish policy stance. Moreover, growing cautiousness ahead of main risky event is also boosting demand for Japanese currency. Looking ahead, today the pair will continue following broad risk sentiments, influenced by BOE rate decision, while USD price actions will also be able to determine pair’s further direction. The [B]GBP/USD[/B] pair lost its bearish momentum and now is trading within 20-pips flat range, as dust around BoE decision settles down. Yesterday the pair fell for about 2 cents after the CB of UK had left its refi rate unchanged, however, downgrading its further long-term inflation forecast. Moreover, following dovish comments of BoE Governor M.Carney also provided negative impact on the pair, as left behind lack of clarity on further Bank’s monetary policy steps. Currently the pair is oscillating around 1.2520 level, awaiting for UK Services PMI for fresh impetus, while NFP, scheduled on NA session, will overshadow any today’s fundamentals. The [B]EUR/USD[/B] remains consolidative in early Europe, after yesterday’s abrupt drop. On Thursday the pair failed in sustaining its positions above the level of 1.08 on the back of broad demand for the US dollar, underpinned by strong buck’s gains in the pair with the pound. Moreover, talks around “Trumponomics” have started to fade away, bringing some relief to the greenback and allowing it to correct higher against a basket of its main competitors. Looking ahead, today NFP will take center stage in this trading session, while several secondary reports from Eurozone will also be able to bring some impetus on the pair. The [B]yen[/B] is losing points today against its American peer on the back of BoJ decision to participate in bond market operations. Today the USD/JPY pair is extending its bullish run, as the Bank of Japan offered to expand its bond-buying program, forcing the pair to refresh its daily highs at 113.23 handle. On the other hand, any other further abrupt moves within the pair will be limited, as cautious sentiments ahead of NFP are gathering pace, which is a regular scenario for safe-haven assets. However, results of the US jobs report will have additional impact across the market, as it will help to calibrate timing for next Fed’s interest rate increase. Today the [B]AUD/USD[/B] pair remains in a red zone after minor retreat from its 3-month tops, marked yesterday at 0.7696 spot. Moreover, the Aussie failed in several attempts to recover its positions, as worse-than-expected Chinese data, seen in Asia, continue weighing the pair. Additionally, recent dollar’s correction against its main competitors and shrinking risk appetite are also negatively influencing the pair. Now all traders’ attention is focused on the main event of this day – US labor market report, that will be able to bring some short-term trading opportunities to investors. The [B]AUD/USD[/B] loses its positions, gained on the back of RBA’s decision. Today, as it was expected, the RBA left its interest rate unchanged, while providing the market with neutral stance on the interest rates outlook. However, RBA members sounded more optimistic, stressing that Australian economy prospects remain positive in wake of improvements in the global economy. On the other hand, the pair lost its upside momentum and has reversed all its earlier gained positions, as returning demand for the US currency combined with sharp increase in Chinese iron-ore stockpiles are negatively influencing the pair. Looking ahead, traders will continue digesting recent events, while JOLTs Job Openings report will bring fresh directional impetus to the pair. The [B]EUR/USD[/B] pair today is losing points, slipping below the level of 1.07. Seems that US bulls have regained control over the pair, forcing it to retreat to its weekly low posted 1.0661, as increasing interest around the US currency is gathering pace. Moreover, significantly weaker German report of Industrial Production, seen in early Europe, is also weighing the pair this Tuesday. Next on tap remain JOLTs Job Openings that are scheduled on NA trading session, but until than the pair will continue tracing US dollar’s price moving actions to determine its further direction. The [B]Kiwi[/B] trims part of its strong gains vs. the greenback, led by positive data from the NZ economy. This morning the RBNZ provided the market with better prospects of further inflation, forcing the pair to refresh its multi-month highs at 0.7375 level and reducing chances of further monetary policy easing by RBNZ. However, better tone around the US currency caused the pair to lose most part of its gains. Today traders will focus on JOLTs Job Openings report, scheduled on NA session, while tomorrow the RBNZ will announce its interest rate decision, which will be closely watched by investors for any impact on the pair. Today the [B]USD/CAD[/B] follows global market sentiments and has refreshed its two-week tops at 1.3174 spot, that is nearly a cent higher today’s lows. Currently the pair is trading within striking distance of its highs, as strong demand for the US currency is significantly supporting the pair. Moreover, recent weakness around oil prices is additionally adding extra legs to the pair. Today traders will await for fundamentals from both neighbor economies, scheduled on NA session, that will be able to bring fresh impetus on the pair. The[B] dollar/yen [/B]pair is showing pretty volatile trades this Wednesday on the back of recent news from the BoJ. The pair reached its maximums in Asia at 112.52 spot, as the Bank of Japan announced about expansion of its bond buying program. However, pair’s upside rally was short lived, as plenty of offers, based on dollar’s weakness, absorbed the demand and the pair dropped to its overnight lows, marked at 112.04. Currently the pair is trading around the level of 112.40, as the US currency has regained its bid tone, while the market stays influenced by recent headlines related to CB of Japan. 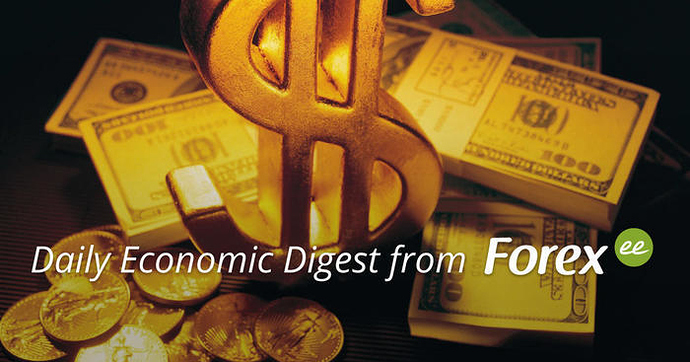 During this day the pair will continue to trace USD price dynamics and global RO-RO trend amid data-quiet Wednesday’s docket. The [B]GBP/USD[/B] pair remains consolidative today after its recent upside rally. Yesterday the pair performed a huge jump of almost 2 cents in wake of hawkish comments by BoE’s External MPC Member K.Forbes, who stressed that further interest rate increase remains reasonable if the UK economy continues to show solid growth. However, greenback’s pickup in demand has slowed down pair’s rally, capping it in the region of 1.25 level. Moreover, cautious sentiments across the market are also limiting pair’s actions, as the market has set up its attention on the outcome of Article 50, that is set to vote in the House of Commons this Wednesday. Furthermore, today only BoE MPC Member J.Cunliffe’s speech will be able to bring some impetus on the pair amid empty economic data calendar. The [B]EUR/USD[/B] keeps its bearish tone after brief correction, seen in early Asia. The main currency pair is following global market’s trends today, influenced by broad demand for the US currency, continuing its southern march for the third session in a row. Moreover, poor economic fundamentals from Eurozone, in particular German industrial production data, seen this Tuesday, are additionally weighing the pair. Today amid absolutely empty event calendar the pair will remain at the mercy of USD price actions. The [B]Loonie [/B]remains little changed against its American neighbor since today’s opening. Seems that US bulls have run out of steam, allowing the USD/CAD pair to correct lower after bullish run, triggered by strong demand for the greenback, that was witnessed yesterday. Moreover, weaker tone around oil prices in wake of the API report that showed second largest increase in US crude oil stockpiles, is also adding some selling pressure to commodity linked assets, such as the Canadian dollar. Looking ahead, today traders’ attention will stay focused on US Crude Oil Inventories report, which remains especially interesting in wake of recent data from the American Petroleum Institute. The [B]NZD/USD[/B] pair reacted negatively on the RBNZ interest rate decision, losing for more than a cent since pre-decision region. As it was widely expected the RBNZ left its interest rate unchanged on its meeting, witnessed in Asia, however, following comments of RBNZ Governor G.Wheeler have sent the pair to refresh its 3-week lows below the level 0.72. G.Wheeler stressed that the Bank won’t increase its rate until inflation reaches its target level, so most likely interest rate will continue to stay low, thereby crashing market’s expectations of further rate hikes. Currently the pair is trading within striking distance of its recent lows, trying to consolidate in the region of 0.72. Nothing else is scheduled in data calendar for today, so USD price dynamics will continue to drive the pair during this Thursday. The [B]USD/JPY [/B]retreats from its recent highs, marked at 112.42, in wake of shrinking demand for the US dollar. However, the pair remains supported, as cautious sentiments are gathering pace ahead of Japanese-US summit, scheduled on tomorrow in Washington. This Friday Japan PM S.Abe and US President D.Trump will meet to discuss trade, defense and jobs, that brings nervousness amid the market, as US President’s protectionist policy could intensify trade war between two countries that may cause additional risks to Japanese business . Only secondary tier data will be published during this Thursday, so the major will keep tracing global risk trends during this trading session. The [B]single currency [/B]is gaining points versus its American competitor today, retaking 1.07 level. The EUR/USD has regained a smile, staying within striking distance of its recent tops, marked at 1.0705, after brief bearish slide, seen in Asia. However, poor German Trade Balance, published in early Europe, is slowing down pair’s bullish run. Looking ahead, data calendar from Eurozone remains absolutely empty, while the US economy will provide the market with secondary tier data, so the pair will stay at mercy of the USD price dynamics during this Thursday. The [B]USD/CAD[/B] pair steps lower, refreshing its daily lows at 1.3137, after short lived upside rally, witnessed in Asia. By the time of writing the pair was trading on the level of 1.3140, as US bulls apparently are losing control over the pair. Moreover, today oil prices remain on a firm note despite red numbers of Crude Oil Inventories, thereby supporting commodity linked assets, such as Loonie. Yesterday prices for the black gold remained positive despite sharp increase in crude oil stockpiles, as traders had already priced in negative results of the report, guided by similar figures of API data. Today nothing much is scheduled in data calendar, as only secondary data from Canadian housing and US labor markets could bring some short-term trading opportunities for market participants. The [B]dollar/yen[/B] pair is experiencing pretty volatile trades lately, as various factors are pushing the pair in north direction at the end of this week. Ongoing rally, triggered by recent US President’s talks of upcoming tax reforms, that could be implemented over next weeks is still supporting the greenback across the market. Moreover, recent BOJ announcement of expanding its bond purchases is also supporting the pair last few days. And finally, fresh wave of risk-on sentiments, triggered by significant surplus in China’s Trade balance coupled with Trump’s talks over the tax cuts, is also benefiting to the pair today. Currently the pair is trading in the around 113.70 handle, having slowed down its massive rally from yesterday’s lows, marked at 111.72 spot, as traders are getting cautious ahead of US-Japan summit, that will be closely watched for next leg of directional move. Nothing else left in this week’s docket, so the pair will continue following broad RO-RO trend during this Friday. The [B]Aussie [/B]remains bullish today against its American competitor, despite strong demand for the US currency. The AUD/USD pair continues benefiting from auspicious China’s Trade Balance report, with both stronger-than-expected imports and exports. Moreover, better tone around higher-yielding assets is also supporting the pair lately. On the other hand, ongoing rally of the US currency, led by recent Trump’s promises of upcoming tax cuts, is limiting major’s upside traction lately. 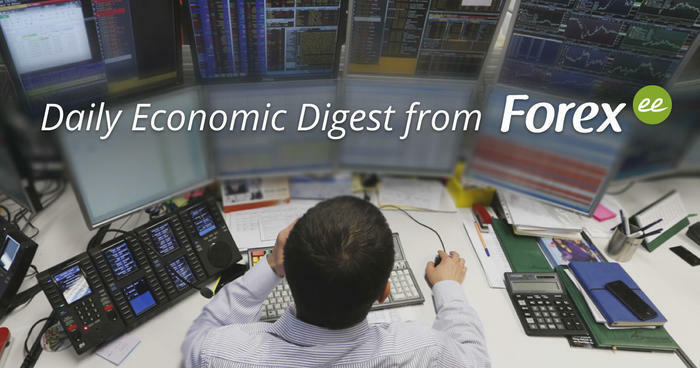 Looking ahead, traders will find only secondary data in today’s docket, so the pair will continue to trace global market’s sentiments to determine its further direction. The [B]EUR/USD[/B] pair remains in a red zone this morning, consolidating its recent loses around mid-point of 1.06. Seems that US bulls are still full of steam, limiting any attempt of the pair to recover. Yesterday US President D.Trump made a statement about plans of implementing tax reforms in next 2-3 weeks, which according to him will be “phenomenal”, that refueled investors’ expectations of boost in US economic growth rate under his presidency. Moreover, improved risk environment, led by Chinese trade data, is also capping the pair in a red zone. The major will remain at the mercy of USD dynamics at the end of this week amid a lack of fundamentals from both economies. The [B]GBP/USD[/B] pair is losing ground, following global market’s sentiments this Friday. Currently the pair is trading in south direction, refreshing this day lows at 1.2467, after brief recovery phase, in response to recent D.Trump’s announcement of further tax cuts. However, optimism among investors on Brexit negotiations and better tone around riskier assets, triggered by China’s trade figures, are supporting the pound, slowing down pair’s further fall. Today UK will release bloc of macroeconomic reports with Manufacturing Production in the lead role, while US data calendar contains only secondary reports at the end of this week.